While the bunnies munched their celebratory carrots, I spent some time spinning yarn, and taking photos of the resulting labor of love. Nothing spins quite like angora, and nothing GLOWS like Satin Angoras! Left to right: Laurel, Albus, Princessa, and Pete! Look at the glow of the last 2! I love the color of Pete. 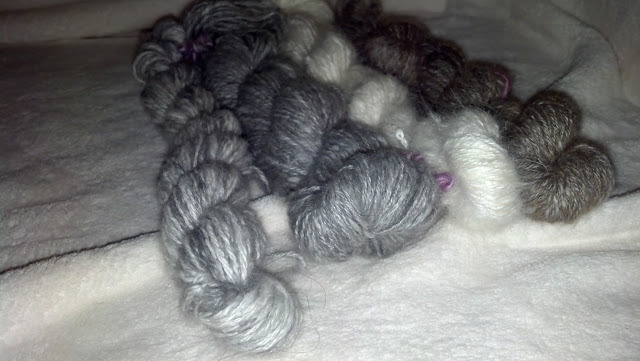 All of these are Navajo plied, 100% angora. All are for sale. 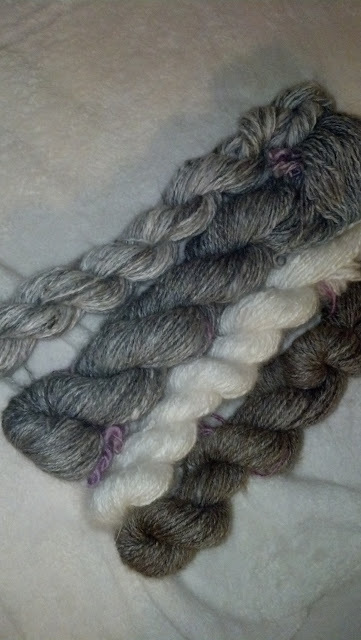 My angora is priced at .40/yard as handspun. Email me for more info!